Earlier this week, Bandai Namco revealed that Android 17 will be joining the solid roster of Dragon Ball FighterZ! Although we got the chance to see him in the game via Android 18’s movesets, this time we actually get to control the deadly android himself! 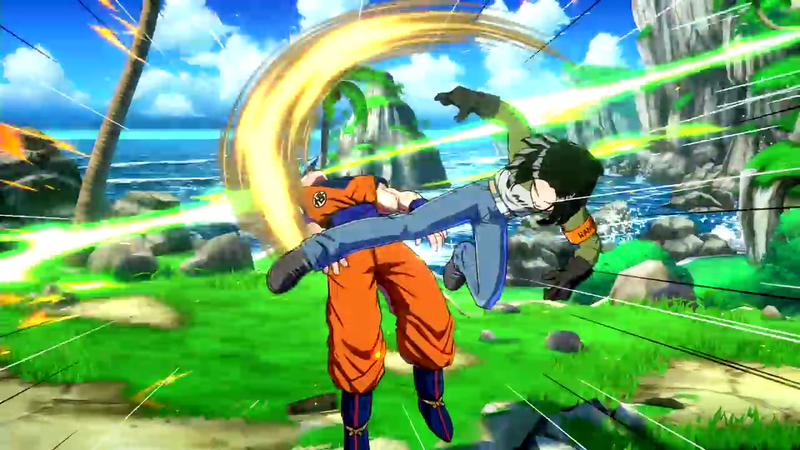 Bandai Namco released a gameplay trailer this morning that shows off Android 17 hammering away at Super Saiyan Goku! Take a look at the gameplay trailer below. Android 17 is the 8th DLC character to join the roster. The recent DLC characters include Vegito Blue, Base Goku, Base Vegeta, Bardock, Cooler, Broly & fused Zamasu.